← Donruss’ Bitty Bombs and Bitty Bites! Topps’ Answer to Fun Dip: 1980’s Dip-It Candy! 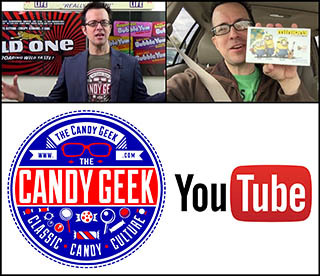 As I chronicled earlier this year, Sunline introduced Fun Dip to the world in 1973. In those first few years, Fun Dip became a huge hit in the candy world, and of course its still around today. When something innovative like Fun Dip catches on in the candy biz, it’s inevitable that others will try to “get in on the fun”, so to speak. Such was the case that a few years after Fun Dip’s introduction, Topps rolled out a similar product called Dip-It Candy. 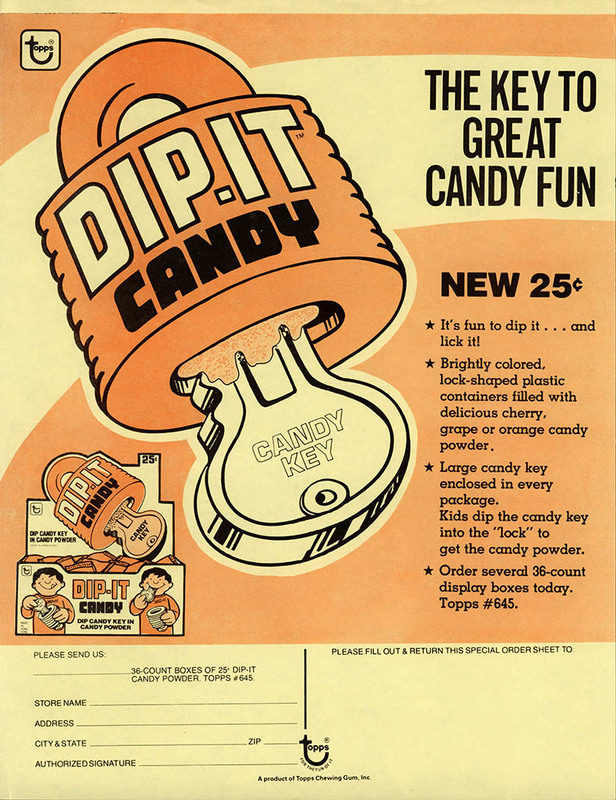 Dip-It is a product that I have very specific memories of from my childhood. I believe I was already a Fun Dip fan at the time, but when I saw this new product in my Woolworth’s candy isle, I had to try it. I was powerfully intrigued. 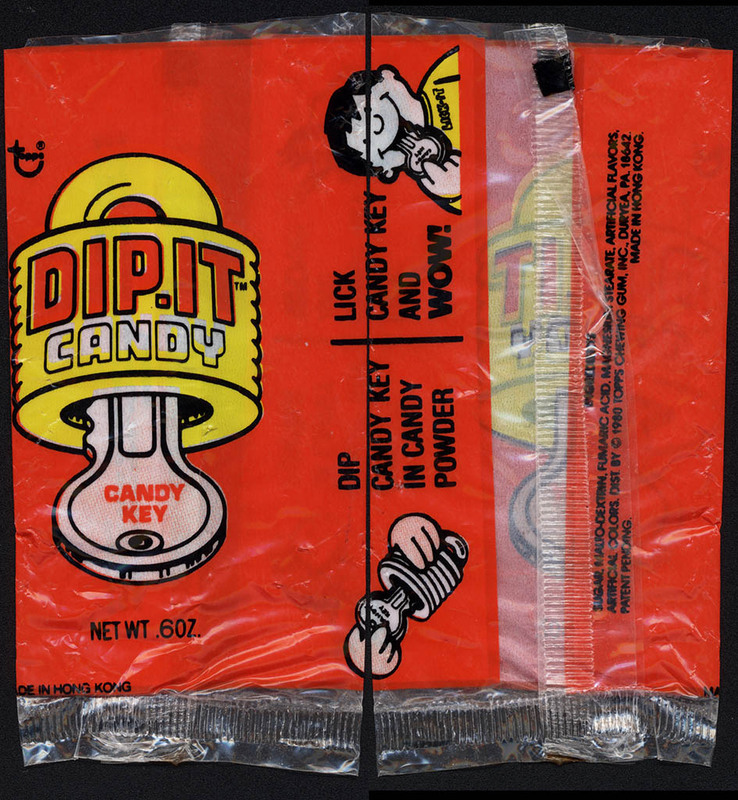 You see, this was Fun Dip served out of a padlock style container and instead of a simple stick, you got a candy key! I don’t recall if I came across or tried Dip-It more than that initial time. I do have a vague recollection of being disappointed that the lock didn’t function in any way — it was simply a single piece, molded in the locked position. I suppose I’d been spoiled by the cereal premium locks of my youth which had moving parts and worked (though wouldn’t hold against much stress) and the other candy containers of the time, which typically had functioning clasps and hinges. Still, Dip-It was an intriguing offering, and the experience of trying it created a memory that lasted with me through the years. Imitation IS the best form of flattery, no? 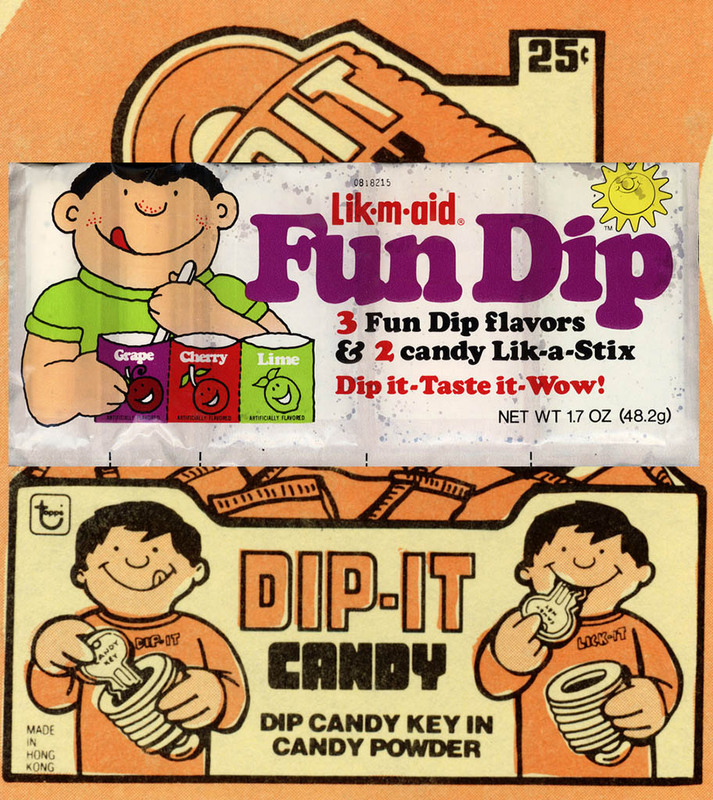 While Dip-It Candy didn’t last long, Fun Dip became a confectionery classic. Even so, I still have a soft place in my heart for Topps’ short-lived candy-powder-filled-padlock-with-the-candy-key. Because of that fondness I was thrilled when an actual package for Dip-It came to me via the ever-amazing L.M. Kallok Collection. Today, I get to share that with you. I can confidently say it had been 30 years since I’d seen one of these packages, and it was great to finally put eyes on one again. It’s pretty awesome, and it really brings back a lot of memories. And that’s everything for today. It’s a bit of an oddball Friday, since we had the 4th of July in mid-week, but I hope you all are heading outdoors for more (safe) fun with loved ones and friends this weekend. See you next time! This entry was posted in 1970's, 1980's, Hard Candy, Novelty, Topps, Uncategorized and tagged 1970's candy, 1980's candy, 80's candy, candy collecting, candy collection, candy collector, candy wrapper collection, candy wrapper collector, collectible, collecting candy, confectionery, confections, Fun Dip, novelty candy, packaging, sweets, Topps, Topps candy, vintage candy wrapper, wrapper. Bookmark the permalink.